Choose your weapon! the Katana blade, the Halberd naginata, the Daikyu bow, the Yari spear, and many other cutting blades, crushing hammers, and went bows! 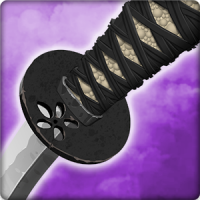 Bushido Saga – Nightmare of the Samurai relies heavily on quality gameplay combined with powerful storytelling. Reveal the conspiracy and defeat enemies before it’s too late! + Reveal a deadly conspiracy against you, Lord! + SLASH your enemies by swiping the screen. The control is at hand! + dozens of BATTLE minions as only SAMURAI qualified and expert can do it! + ARMMENT dictates your style of play: fast slashes with the katana, long slicing movements with the halberd naginata, striking accuracy with the Daikyu bow, throwing lunges with the Yari throws, crushing hits with the Hammer Otsuchi, and Quick throws with the shuriken!